Just wanted to pop in and say hello. Been a busy month or so. My brother had surgery today to remove some bladder stones. He is doing great and feeling much better. He'll be back home hopefully tomorrow. Between work and my brother, I haven't had much time to do art but I haven't given up on it. Just not much time to do it lately. Has Len been behaving himself? Somehow I doubt it. LOL Just kidding Impertinent Spore!! I see David and Horo have been busy with Bryce stuff. You guys rock! Anyways, I'll pop in once in awhile to say Hi. Hope all is well with everyone. EDIT to add: I just noticed the Avatars are back. Cool! Great to see you back Michele with good news from your side. Just keep it up. Yes, good news on the forum but the small font and atrociously bad misrepresenting smileys are still here, so I'm crossing my fingers they'll bring the old font and smileys back. They're so bad it's annoying because these ones don't seem to represent any emotion as accurately as the old ones did - they're pathetic. I mean look at the basic 'smile' smiley for example, it looks dumb, like you're trying to represent you've done something silly. ...that represents a smile better than the actual 'smile' smiley they have on DAZ right now - that's how bad they are. Anyway, nice to see you back, and good to hear you haven't brought your new workplace to bankruptcy. I also hope you've been behaving and have not been doing stuff with the boss. Don't think that just because there is no Peasant Girl thread that you can do as you like, because you can't. God, I can't even post those hump smileys anymore because this forum wont let us embed images into the body of the text. I just realised I lost my manners when I replied so I must indeed be an Impertinent Spore. Glad to see you back darlin'!!!!!! You know us, always tinkering around in Bryce seeing what we can break next. @Michele - and isn't it comforting to see that we all have lost our post count as you did just around the end of the old forums because of that mishap? We all started at 0. Yes Len, you are an impertinent spore!!! This whole last year has been dedicated to helping my brother so I haven't had much time for anything else, except working. Maybe when this is over I can really get back into 3D. I've been buying a few models here and there but not really rendering because I've been so anxious about my brother. Anyways, just wanted to pop in and say Hi and give an update. Keep your fingers crossed for my brother!! that sound great - wish him and you all the very best ! Glad to know you are doing well generally and that conditions are hopeful for your brother. Hang in there. Good to see you here again, Michele. Fingers crossed that removing that tumor will sort things out for good. It is also nice to see you again, I even took my picture down recently because I thought all my Peasant Girls had left me. It's got really boring since they ruined the smileys, I can't even use the :hump: smiley anymore, so all my Peasant Girls have lost interest in me now since I can no longer effectively portray the love I have for them. Thanks for the replies everyone. My poor brother has been through hell this last year. He's the kind of guys that needs to understand things so he can work out how to handle them. This not knowing was absolutely driving him nuts. All he knew was that SOMETHING was wrong. Anyways, thanks for the support. It seems you guys are the ones I keep returning to. You're the best!! Yes, it is because I am the most bestist! BTW, I'd be weary of Horo's behavior if I were you; I notice he's updated his avatar to a much cooler-looking profile view like mine was. Now that I've taken mine down, there's no competition, you see, so he might be doing it to attract all my Peasant Girls as they return to the forum. Even Trish appeared for about one nanosecond a while back, and now she's disappeared again! Just wanted to pop in and wish myself a Happy Birthday!! Damn, I was determined to surprise you on your Birthday this year by posting a "Happy Birthday" comment without you even mentioning it. I noted it down from last time but forgot all about it. They say men don't remember Birthdays and stuff, so I was determined to prove it wrong and impress my Peasant Girls by remembering yours! BTW, did things work out as expected for your brother? He is hanging in there and will have surgery the first week of December to remove one of his adrenal glands that has gone wonky. After that, he should be just fine. It's just been a very LOOONNNGGG year trying to diagnosis him and get a treatment. But it looks like we are almost there. Yea!! Also, because I forgot your Birthday I felt I needed to find something for you to make up for it. Awwww, that was so cute Len!! Thanks!! Hello all. Thought I would drop by with an update. My brother's surgery is next week (Dec 21) so hopefully he'll be on the mend after that. I was hoping he'd be done by now but the VA is extremely slooooowwwww. I'll pop in after the surgery to let you know! Anyways, I hope everyone has a great holiday and new year!!! Hi Michele. Good to see you around. Wishing your bro a smooth surgery and a speedy recovery. Are you saying you've abandoned Bryce? You know, you can set up your scene in Studio and render it in Bryce. Oh, and there are again freebies for the season in the commons. Don't miss out. Thanks Horo. No way have I given up on Bryce!!! It's just easier for me to do this particular project in DS. Bryce will always be my first love. :-) I will check out the freebies in the Commons! 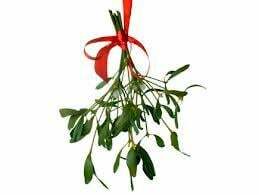 Michele, you forgot the mistletoe, lucky I have some handy! I tell you Michele, my Spore gets all tingly this time of year because it's the only time I get a bloody good snogging. You always give me a Christmas Snog, unlike my other Peasant Girls what I don't even know why I bother having them sometimes. I'm also throwing-in the usual Christmas Humpings as well. Great news about your brother and your new project, I probably won't see it for a while but I will eventually. Merry Christmas to all my Peasant Girls and Peasants as well. I am happy to report that my brother's surgery went well and he's doing fine!! Might even be able to come home today. It will be the best Christmas present ever. Thanks for all the good thoughts and wishes! I hope everyone has a wonderful holiday and a very happy new year!! Great! Thanks for the update. Happy holidays for you and your brother. Let's hope for a speedy recovery. I'm really pleased to hear this and it's awesome to hear you're together for Christmas. Best wishes to you both, and all the best for the new year!